Apparent cell phone video footage of the gruesome assault was posted to Facebook late Friday night. 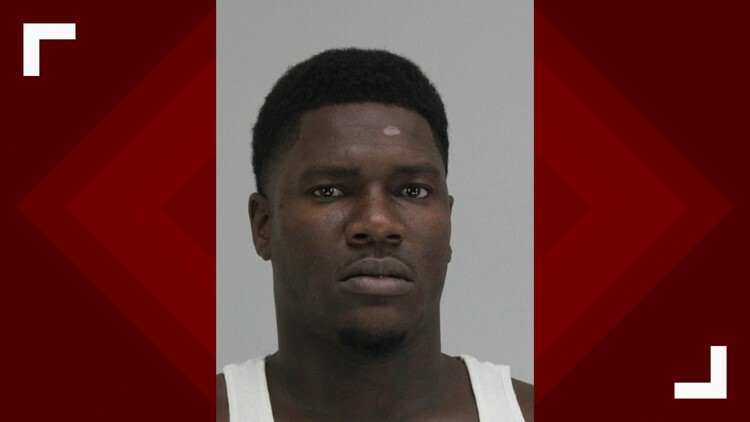 DALLAS — Dallas police have made an arrest in connection with an assault of a transgender woman at an east Oak Cliff apartment complex. Police arrested 29-year-old Edward Thomas on a charge of aggravated assault, which is being flagged as a hate crime. There could be more arrests. 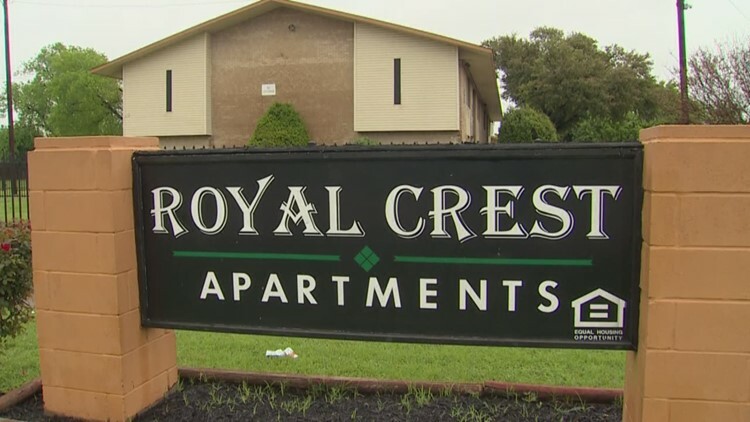 Earlier, police said they are investigating a potential hate crime after a transgender woman was mobbed and beaten at the Royal Crest Apartments. The incident happened in the daytime on Friday, April 12, but police didn't interview the woman until around 11:23 p.m., when she was in a Dallas-area hospital, police said. The woman told police she had been assaulted after being involved in a minor traffic accident at the Royal Crest Apartments in east Oak Cliff Friday. She also told police the people who assaulted her used homophobic slurs during the assault. Apparent cell phone video footage of the gruesome assault was posted to Facebook late Friday night. In the video, a mob of people surrounds the woman and a man in a white T-shirt, who punches her repeatedly and then kicks her while she is on the ground. Eventually, others join in the assault as well. After the woman has been kicked, punched and pulled across the apartment complex parking lot, the video ends with three other women helping the woman up. Dallas Police are investigating the incident and said they are "reviewing all available evidence to determine if it will be classified as a hate crime." The victim, who identified herself through a family member to WFAA as Muhlaysia Booker, is now recovering with close friends after being taken to the hospital. That family member also said that Booker suffered facial fractures and that her right arm is in a sling. He also said that Booker is "thanking God that she's still alive." Mayor Mike Rawlings issued a statement on Twitter and through his office Saturday about the attack. "Chief Hall alerted me this morning to the assault at the Royal Crest Apartments and I have seen a video of what happened. I am extremely angry about what appears to be mob violence against this woman," Rawlings wrote. "I am in contact with the chief and she assured me that the Dallas Police Department is fully investigating, including the possibility that this was a hate crime. Those who did this do not represent how Dallasites feel about our thriving LGBTQ community. We will not stand for this kind of behavior." Leslie McMurray, the transgender education and advocacy coordinator at the Resource Center in Dallas, called the attack sickening. McMurray, who is 60, is transgender herself. "It's utterly terrifying," McMurray said. "You could just feel the energy and the malevolence of this crowd escalate as the violence ensued and there was no voice standing up saying stop." "There's no reason that our lives are less valuable than someone else or that we should be someone's punching bag just because we're transgender." If anyone has any information about this incident, they can call the Dallas Police Department Assault Unit at 214-671-3584.